Sometimes summer holiday time can get over whelming, rushed and expensive for families and the heat may lead to over doing the screen time! It is important during these times to remember how children take on the crazy day’s stress of a busy parent or how tired and withdrawn a child can feel after spending unreasonable amounts of time having their attention and stimulation drained away in television and computer games. If you remember back to when you were a child and how we found entertainment and stimulation within our environment, think about what it was that made you happy! Most of the time it was the simple things! Sprinklers, a box of chalk, mud, cubby houses and dancing with your siblings in the living room using your hairbrush as the microphone! Even today these simple little things are important in helping to develop that most magical part of being a child – Imagination! 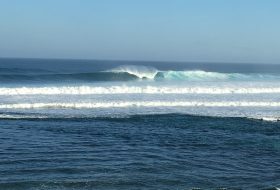 The wellspring of so many amazing ideas and the part that will help them to succeed in later life as free spirited, lateral thinkers! Today we engaged in a magical little moment with a box of chalk and a little help from a dadda! He used string to mark out the shapes of the mandala with the help of his littles, then simply left them with one huge box of rainbow chalk! With some watermelon breaks and a dip in the pool, the children were overjoyed and excited to show off their amazing work of art. The children lead us outside blindfolded to reveal this absolutely amazing rainbow mandala that they worked so hard to achieve and enjoyed every moment in doing so. They were so super proud of themselves, and so were we. Sometimes all it takes to put a smile on a child’s face, is a little colour and imagination. By keeping things simple and creative your child’s imagination will grow and fly! 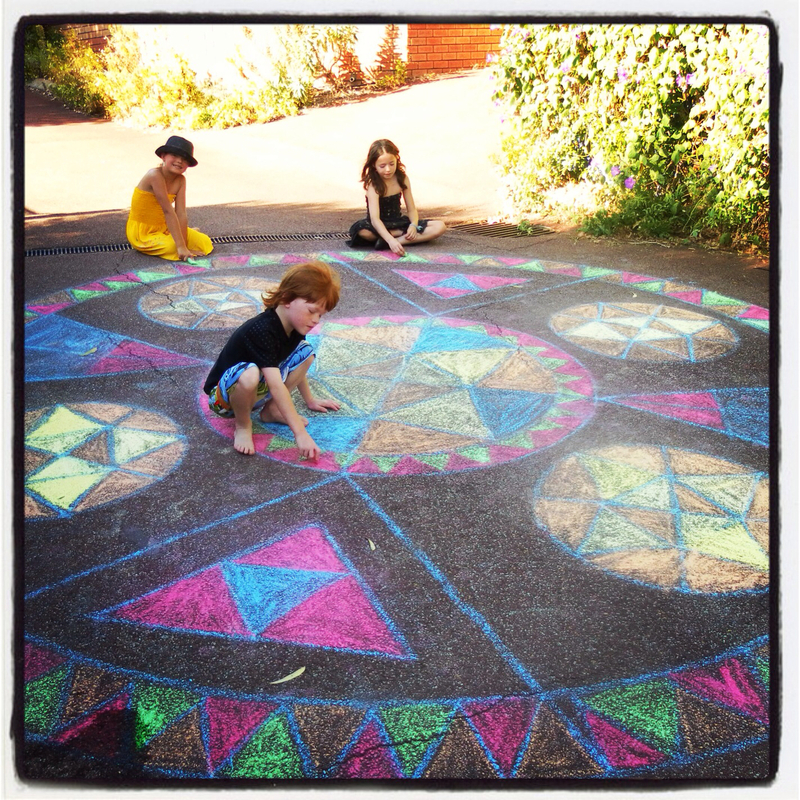 Thanks to Liza and Dave Kennedy for the amazing idea on giant chalk mandalas! Rainbow Yogis at the Beach! I really love this idea. We have done small mandalas for coloring in our classroom but this is magnificent, and beautiful. I like the color combinations that the children chose to use all on their own. I think I will use this idea. I also agree that children need more time to be creative and do wholesome activities that don’t involve any screens. My children grew up without TV (we had videos and games, but no actual cable or other TV) and I think they are very creative and lead interesting lives. I haven’t ever had to tell them to limit TV or games, they do it themselves. I think because they know how good it feels to be part of the real world.